Maternity sessions are magical for me. It’s a once in a lifetime opportunity for me to capture for you that fleeting period of time when you are nurturing a new life beneath your own heart. After my clients book a session, one of the questions I often get is: “What should I wear?” It is my pleasure to ensure you will never have a wardrobe dilemma during your session! One of the best parts about a photo session is feeling beautiful, confident, and comfortable in your wardrobe choice. I love to make you feel at ease about what you’ll be wearing, and to give you options during your session! With magazines, and the internet (I’m looking at you, Pinterest) it can be dizzying to try to decipher what a good wardrobe option should be for a stunning photo session. When you book your session here, I will meet with you to give you several options to choose from, and take the guess work (and the stress!) out of your planning. I always put your comfort first, and I will accommodate any needs you may have during your session. I have so many gorgeous ways to showcase this special time in your life, without highlighting any areas you may not be as enthusiastic about. If you are more comfortable in street clothes, I can advise you on what to bring, and if you are looking for some variety, I will give you options there as well! I will never make you feel rushed, or limited to only one or two outfits during your session. One of the best parts of your experience here is feeling cared for, and enjoying your session as part of the special journey of your pregnancy. If you have an outfit you feel particularly beautiful in, wear it! Your confidence in your wardrobe shines through in the images. Just as a particular background or pose can evoke a certain emotion in the finished art I will produce for you, your wardrobe can have a big impact on the final product. 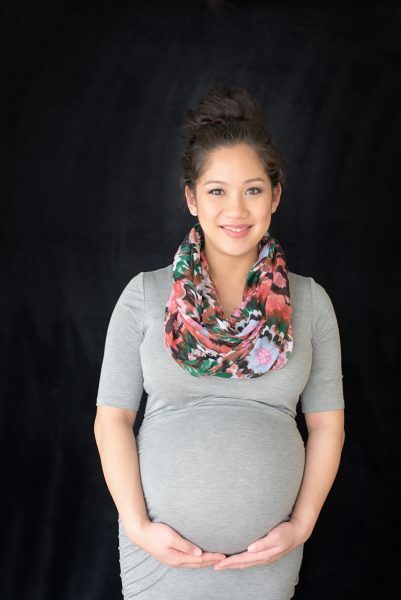 I can create the perfect mix of softness, beauty, energy, and vibrancy that pregnancy holds. You want to remember all the dreams you held for this little person, before you held them in your arms. Let me help you tell that story through your session. You get to enjoy all the fun of the process without dealing with any of the stressful decision making! I have created by hand several stunning maternity gowns that I use for my sessions. They are made of rich colors and beautiful flowing materials that drape in flattering ways over any body type, and make you feel like a goddess. Whether you are looking for a more traditional feel in your photos, or more artistic overall, I have a gown to match. When paired with the right background, whether it is an outdoor setting, or inside the studio, a gown can transform your pregnancy into a priceless work of art. There really is no way to put into words what this time in your life means to you. So use the opportunity to say it with your images. I have so many wonderful ways for you to display these memories in your home, the only difficulty for you will be in choosing which one to use! My goal is to accentuate the natural beauty of your pregnancy. When you work with me to make your wardrobe line up with your vision, you will feel more at ease, and the resulting art will be stunning. You will always want to remember this amazing time in your life. It is my privilege to capture it for Today. Everlasting. Congratulations! I hope you are enjoying this miraculous season in your life. Yes, I definitely encourage you to involve your children in your maternity session. What a joy it is to look back and see how little (or big) they were and how excited they were about welcoming a new brother or sister!